Spring is here, and so is our new website! 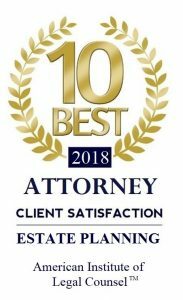 On the new and improved www.OzarksLawFirm.com, you will find a wealth of online legal resources provided to help educate and inform our clients about their various options, streamlined in an easy to read format accessible at home or on the go, by both desktop and mobile users. little better, and see what we’re all about here at the Ozarks’ most customer service focused full service law firm. We’ve redesigned the site to better serve you, so let us know what you think! We’ve also revamped www.AffordableLegalServicesLLC.com to make it your one stop spot for no nonsense solutions to common legal concerns. In today’s newsletter, we will look into the benefits of creating a Health Care Directive, how Custody and Support Modification can help your family, share some advice concerning what to do if you receive a traffic ticket, and take a look at a new viral video where a telephone scammer accidentally calls a police officer. The purpose of a Health Care Directive is to explicitly state your desires, in writing, for your end of life care so that your family doesn’t have to assume, or guess, what you would have wanted. How is a Health Care Directive Different Than a Living Will? Health Care Directive forms typically give the person signing the document the ability to say “yes” or “no” to various types of treatments, in various types circumstances. In addition, it gives the person signing the chance to answer other general health care questions, such as those regarding organ donation and hospice care. Child support, maintenance, or alimony amounts that you are paying or being paid are not fixed, and can be changed with the help of our attorneys. In addition, we can also assist you in modifying the terms of your current child support, custody, visitation, or alimony arrangement. If you are seeking to modify such an arrangement, this typically means that since the date that the arrangement was ordered, there have been substantial changes in the circumstances involving your arrangement that have rendered the old plan unreasonable, undesirable, or perhaps even impossible. In our experience, most modifications are contested matters. However, if enough terms are agreed upon, parties can engage in either a cooperative modification, or an uncontested modification. Both parties agree on all changes to child custody, visitation, support, and custody issues. If any of these statements do not apply to your situation, you will most likely be facing an uncooperative/contested case, with which we are also prepared to assist you. If you get a traffic ticket, the worst thing you can do is stuff it in the glovebox and forget about it– you can be sure the courts won’t! A speeding ticket, moving vehicle violation, or any other traffic related ticket doesn’t have to be a headache when you work with an experienced and professional attorney. Think before you pay that ticket though, as having points on your driving record can result in higher insurance rates, in which case it’s better for your wallet in the long run to hire an attorney and take care of it correctly. There’s also the inconvenience of having to appear in court, something no one wants to do, and sometimes cannot do, if you work full time. MAKE SURE YOU DO SOMETHING! Don’t ever just ignore a traffic ticket. It can lead to further costs, court appearances, fines, warrants for arrest, and even time in jail. THINK BEFORE YOU DECIDE TO JUST PAY THE TICKET. Paying a traffic ticket will almost always cause your insurance rate to go up and stay up for a period of three years. Plus, you will be out the money for the fine. CONTACT AN ATTORNEY. Often an attorney can have a ticket dismissed or suspended, and they may be able to plead your ticket down to a lesser infraction that will not cause any “points” to be assessed against your driving record. MAKE AN APPOINTMENT. An attorney can review your specific situation and give you an idea of what can be done and how much it will cost. In our experience, it usually costs less to hire an attorney than to simply pay a ticket and have your car insurance rate go up. When you work with a professional Piatchek Attorney, you know you can expect the highest level of customer service and courtesy when handling your traffic ticket. It takes a special kind of stupid to try to pull one over on the cops, but that’s exactly what one crook tried to do in Eau Claire City, Wisconsin. In a new viral video, a would be crook attempts to extort money via impersonating the IRS over the phone. We can only assume that the scammer didn’t know who he was calling, because on the other end of line, was police officer Roder. This is a common scam, as the IRS will not call you directly if you owe them money. Roder began recording the video when he realized he could help people by exposing the hoax. In the clip, he asks the scammer some simple questions and holds back laughter as the con attempts to talk his way through it, not realizing that he is in fact talking to a police officer. Roder made a point to record the video to raise awareness about these types of scams, and you can view it on the police department’s Facebook page for yourself by clicking the link below.